This book was a very emotional read for me. From start to finish I felt myself hovering on the brink of tears (the happy and sad kind) in the most enjoyable way. That is my favorite type of book to read—the kind that make me FEEL so many things, so deeply. The Orphan Train splits its time between the year 2011 and the years 1929-1943, and I consider it a story about four girls. The story starts out in 2011 with Molly, a teen stuck in the foster care system, whom many would consider a "trouble teen", and others would consider someone who has just learned that bad things are inevitable. Then we flash back to 1929, where we meet the girl with vibrant red hair and freckles, Niamh. Niamh and her family have just come to New York from Ireland in the hopes of finding a better life, a fresh start. And it's a new life that Niamh gets, just not the kind that she would ever have dreamed. We follow Niamh as she finds herself without her family, stuck on a train of orphans being taken around the country, and given away to the first family who'll have them. With each experience shared, Niamh introduces us to Dorothy and then Vivian. 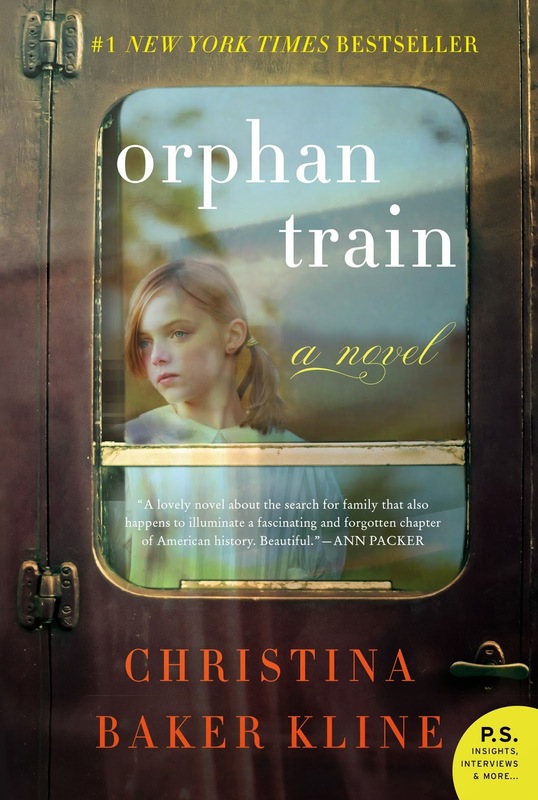 Kline details the experiences of the unwanted, and abused and used children of the orphan train. And throughout we come back to the year 2011 and the life of Molly. We hear her story, and as these two stories collide, we see how though the time periods and exact circumstances may differ, their stories were quite paralleled. It occurred to me that being an orphan and the feelings that come with it have seen almost no evolution with time. There were times when I was reading this book that I found myself with the book inches from my face. I hadn't realized that I was drawing the book to me, trying to catch every word in this gripping story. I have a young daughter, and I kept wondering what it would be like for her if my husband and I died and she had no family to turn to. I wondered if she would find kindness in humanity, or learn to always expect the worst. Though I found this especially poignant because of that, I think anyone who has ever loved someone deeply, ever felt alone, hurt, lost or hopeful will be touched by this book. Though the hardest of times, the girls in this story fell back on the memories and advice of their parents. It was those words that propelled them forward and gave them strength. It made me realize the power of each moment and how what we say can affect each other. I think that is part of the reason why Vivian said that the ones we love are the ghosts that haunt us. Their words and their memory hang around forever. In the end, after I'd closed this book, the main thing I felt was that I hoped I was a good and kind person. The kind of person who would be caring and kind to others. I think this book was masterfully done. It's a history lesson and a life lesson wrapped into one seamless story. I wish I wrote it. ha. And I'm glad I read it. It will leave you shining hope for happy endings. I think tea with milk and sugar is a good companion drink with this novel. Just the way Niamh likes it.